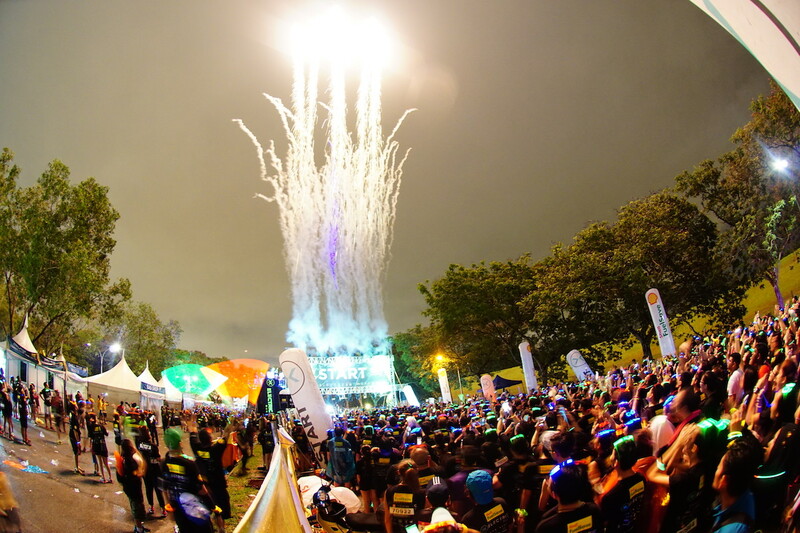 Over 15,000 Runners Light Up Electric Run® Malaysia 2016 | JustRunLah! Neon shades and hues emanated even brighter than before from the Selangor Turf Club, Kuala Lumpur with the return of this year’s Electric Run® Malaysia 2016 presented by Shell FuelSave. 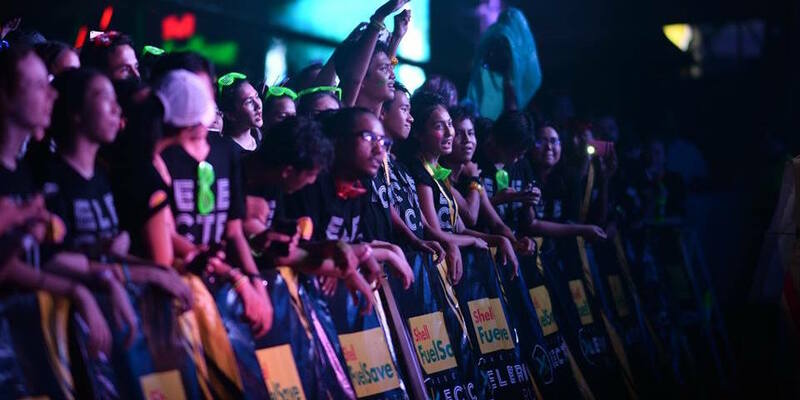 Organized by The Livescape Group and supported by Malaysia Major Events, the Electric Run® Malaysia made waves last year when it achieved the title for the “Largest Participation in a Neon Run” in the Malaysia Book of Records. This year, the fun run saw an even larger participation with over 15,000 runners completing the 5km track, which culminated with a celebration graced by international superstars, Nico & Vinz, alongside a host of talented local musicians including SonaOne, Twinkies, H3, and ABeatC. “We are thrilled to make history once again with the Electric Run® Malaysia 2016 presented by Shell FuelSave. It is exciting to see even more Malaysians coming together this year to participate in this electrifying spectacle, which enables them to pursue their passions in fitness, music and food, so that they can take home once-in-a-lifetime memories with their loved ones,” said Au Tong Sing, National Sales Manager of Shell Malaysia Trading Sdn. Bhd. “Malaysia is driven to strengthen its position as the preferred sporting destination in this region and we hope to achieve this through strategic partnerships with event organisers such as Livescape,” added Tony. The run, which was flagged off by Au Tong Sing; Ben Mahmud, Head of Retail Marketing of Shell Malaysia Trading Sdn. Bhd; and Iqbal Ameer, Group CEO of The Livescape Group saw the crowd cheering with excitement, as a fireworks show kicked-off the start of the run. Local musician, H3, was on deck to spin a host of electrifying tunes to entertain the crowd, before they embarked on their journey through the nine Courselands in the run. “The Electric Run® Malaysia 2016 presented by Shell FuelSave is an ideal platform for us to create new experiences for Gen Y drivers and promote the importance of being fuel efficient with Shell FuelSave, helping drivers fuel their busy day by enabling them to be more fuel efficient,” said Au. “We want our customers to know that with Shell FuelSave, our company’s superior fuel efficiency product that is specially developed with Active Efficiency Ingredients, they can improve engine efficiency from the very first tank so that they do more of the things they enjoy and pursue their passions,” he added. In line with Shell’s commitment to encourage Malaysians to be more efficient on the road and in life, Shell FuelSave also unveiled the world’s first Shell FuelSave Do More LED Maze at the Electric Run® Malaysia 2016. This special maze, which features seven distinctive neon zones is designed to help capture the passions and experiences that runners can enjoy and do more of when they are more efficient. Shell rewarded participants who took selfies at each zone with a special goodie bag containing gifts from Lazada, Bfab, Celebrity Fitness, Soleus, Karrimor, Touch ‘n Go and Wall’s – inspiring runners to do more in life and on the road with Shell FuelSave. In line with its commitment to build warmer communities across Malaysia, Shell Malaysia also built a section in the maze that encouraged consumers to make a choice for Shell to donate to one of three items – school uniforms, school bags or school shoes – for children in need. Maze runners simply needed to drop a glowstick into a collection box of their choice and the highest amount of glowstick pledges becomes the cause that Shell will support. “For over 125 years, Shell has been fueling Malaysia’s progress as a partner to the nation. This is why this year, as a fuel that is designed to enable drivers to do more, Shell FuelSave is encouraging runners to do more at the Electric Run by pledging to a cause that they feel strongly about in the Shell FuelSave Do More LED Maze. Together with Malaysia, we aim to make a difference, building warmer communities where we operate, one station at a time,” said Au. Participants had the opportunity to experience and join in the festivities prior to the flag-off at the Market Place, which boasted an array of food and beverages from vendors such as deli2go, Nathan’s Famous Sausages, and 7-Eleven Slurpees just to name a few. Participants could also take part in carnival-like activities such as face-painting with neon-coloured paint. 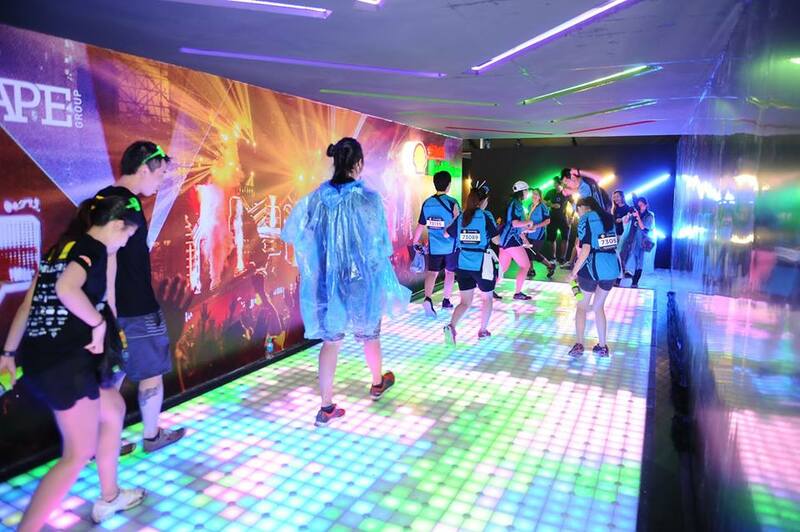 After the flag-off, runners can began their illuminated journey through the nine Courselands available at the Electric Run® Malaysia 2016 presented by Shell FuelSave. The first Courseland runners encountered was the Water Station decorated with a sea of neon colours. They then encountered the Neffmau5 Land where they were taken to an ethereal wonderland of neon trees and sky lanterns. Participants then “weathered the storm” at the Rainforest with glowing umbrellas hanging overhead and soothing sounds of the forest in the background. At Rainbow Road, participants were greeted with technicolour arches of light, before they were transported to an aquatic paradise decorated with brightly-lit, giant marine life at Under The Sea. Candy Lane was also a treat for runners with a sweet tooth, as it brought to life a wonderland of sweets with the delightful fragrance of cotton candy, vanilla, popcorn, and cinnamon. 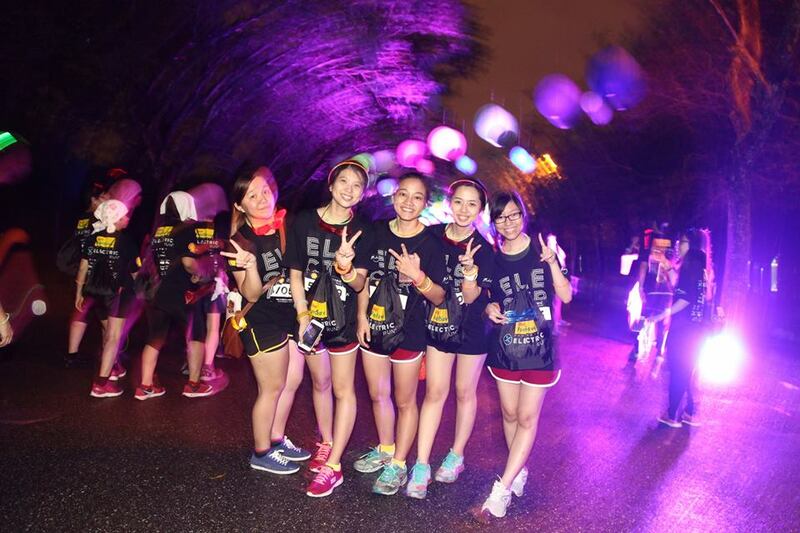 This year, the Electric Run® Malaysia 2016 presented by Shell FuelSave also featured two new Courselands. One Courseland featured a special design by Limkokwing University of Creative Technology as the “Official University Partner”, while the other is a mystery land conceptualized by the university’s students – a “Malaysia Truly Asia”-themed Courseland highlighting Malaysia in all its neon glory. The “Malaysia Truly Asia”-themed Courseland, Gateway was conceptualised, designed, and built by the university students. Gateway is a 200m long Courseland, which allowed runners to run, walk, and dance through different doorways capturing the many cultures found in Malaysia. This “Malaysia Truly Asia”-themed Courseland highlights Malaysia as a unique multi-cultural Asian nation by incorporating Electric Run®’s neon elements to portray the country in its brightest light. Upon finishing the final Courseland, The Powerhouse, runners then explored the Shell FuelSave Do More LED Maze before finally making their way to the finish line celebrations where they partied with one of Malaysia’s top beatbox artistes, ABeatC, followed by popular female DJ duo, Twinkies and local hip-hop superstar, SonaOne. Runners broke out into a thunderous cheer when Norwegian act, Nico & Vinz took the stage, before the night closed with H3 once again. The Electric Run® Malaysia 2016 is organized by The Livescape Group, presented by Shell FuelSave and supported by Malaysia Major Events. Other partners include Rexona (Official Fresh Moves Partner), Limkokwing University (Official University Partner), Celebrity Fitness (Official Fitness Partner), Mines Resort Hotel (Official Hotel Partner), Mountain Dew (Official Beverage Partner), Soleus (Official Timer), Salty Customs (Official Apparel Partner), BFab (Official Beauty Platform), The Malay Mail (Official Newspaper), Hitz FM (Official Radio Station), Grab (Official Transport Partner), Hotel Quickly (Official Hotel Booking App), GoGet (Official Convenience Provider), Hype.My (Official Online Media Partner), and GushCloud (Official Influencer Marketing Partner). Shell is a world leading energy company whose Downstream (oil products) business has pioneered numerous advances in fuels and lubricants technology and offers motorists one of the widest choices of petroleum products and services. Shell is the world’s largest fuels retail business with over 45,000 retail stations in more than 80 countries and Malaysia is a key growth market. Shell is the official sponsor and technical partner of the Ferrari Formula One team and the Ducati World MotoGP team. Malaysia Major Events (MME) is a division of the Malaysian Convention & Exhibition Bureau (MyCEB), an agency under the Ministry of Tourism and Culture, Malaysia. Created under the Prime Minister’s Economic Transformation Programme (ETP), MME facilitates significant events that help boost Malaysia’s economic growth. It focuses on identifying and supporting major event bids for sports, arts, lifestyle, and entertainment events. MME also provides assistance to home-grown and home-hosted events, as well as other cluster events that strengthen Malaysia’s global appeal as an international avenue for major events. As a conduit between public and private sector, it’s a one-stop centre which facilitates and liaises with diverse event stakeholders to ensure seamless processes and successful events. At Livescape, we believe in a 360-degree approach to conceiving, marketing and executing events while injecting fun and sass into the work we do. 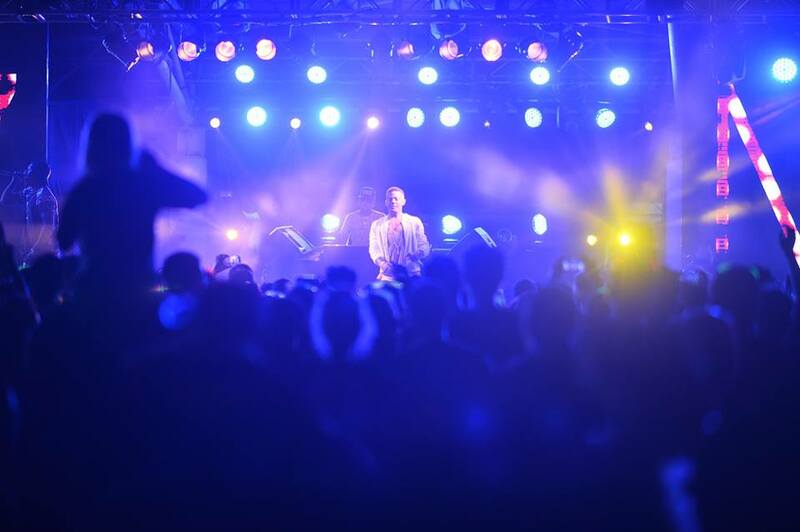 We have an in-house marketing, creative design, event production, logistics management, and artist management and booking team to ensure that we put on a show people will not only remember but also talk about. Among those include Future Music Festival Asia, IT’S THE SHIP, A State of Trance, Rockaway Festival, and After Dark Social Club (ADSC). 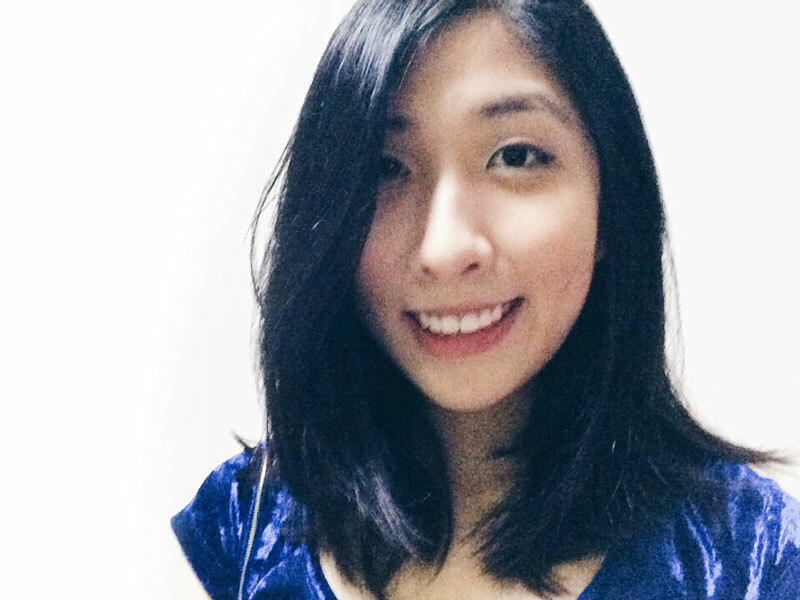 After Dark Agency – Curators and brand owners of the underground club night, After Dark Social Club (ADSC), which aims to experiment and expose lesser known Electronic Dance Music genres to the masses. After Dark Agency is also an artiste management and touring company and is predominantly responsible for engaging the various international acts for The Livescape Group’s brands such as Future Music Festival Asia and IT’S THE SHIP. The agency also provides talents to promoters around the region.